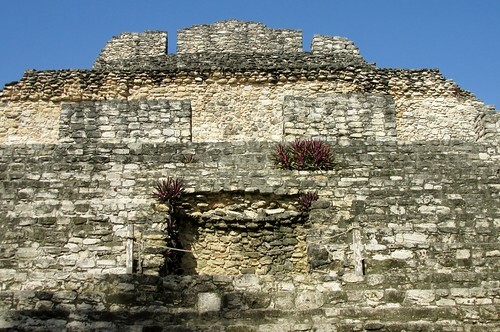 Chacchoben is a Mayan ruin on the Mexican Yucatan Peninsula. It is southwest of the cruise port of Costa Maya. In the Mayan language, Chacchoben means: The Place of Red Corn. The cultural peak of the city was in 700 AD, when most of the construction of buildings and temples occurred. The site opened for tourism quite recently in 2002. I visited the site in November 2017 on a cruise excursion from Costa Maya.